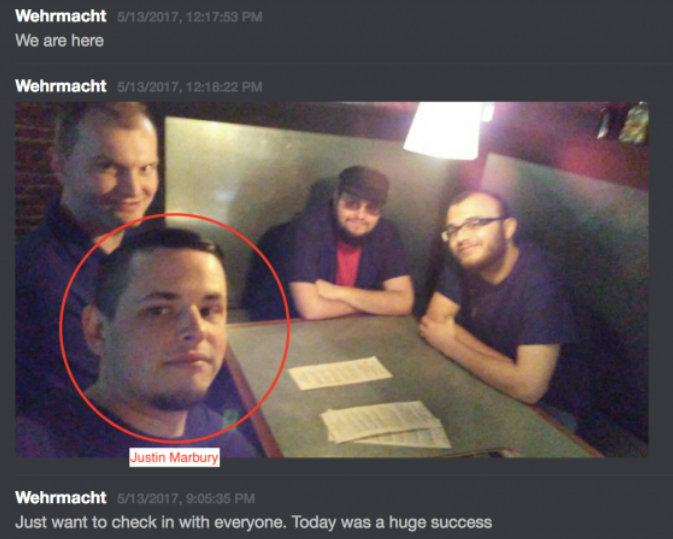 Portland, OR – Ahead of this weekend’s far-right “Patriot Prayer” rally in Portland, which is expected to bring many members of violent far-right groups such as the Proud Boys, Unicorn Riot has obtained the logs of a Discord chat server showing months of closely related neo-nazi and far-right regional activity. While groups like the Proud Boys have their own track record of violence including at Patriot Prayer events, local anti-racists have also been warning about those who may not work directly with Joey Gibson but are attracted to his events. While segments of the so-called ‘alt-lite’, far-right groups that avoid overt displays of fascism, may claim to not endorse openly Nazi and anti-semitic views, they have been documented as having extensive connections with neo-nazis who use events by groups such as Patriot Prayer as grounds to recruit and agitate. A cross-section of the type of neo-nazis feeding off the environment created by ‘Patriot Prayer’-type events can be seen in the Discord chat logs of a group called ‘Cascadian Coffee Company.’ Discord is a chat application marketed to gamers that has in recent years become the preferred organizing tool of white supremacist ‘alt-right’ groups. The ‘coffee company’ Discord server, given a joke name intended to hide the group’s true nature as a neo-nazi organizing network, was exposed last winter in several reports made by antifascist groups in the Pacific Northwest. A copy of the same Discord chat logs was also independently obtained by Unicorn Riot, and with this publication we have made the complete logs available (with some redactions) as part of our public DiscordLeaks database. 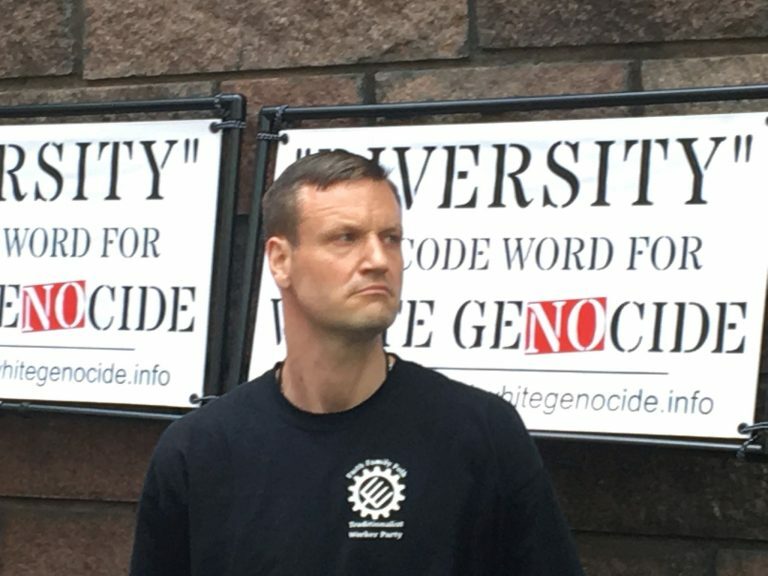 The informal group that convened via the ‘Cascadian Coffee Company’ Discord server was made up of members of different neo-nazi groups, such as American Front, a Daily Stormer ‘book club,’ the Traditionalist Worker Party, and Atomwaffen, along with unaffiliated white supremacists looking for activities to be involved in. They used the group chats to organize meetups, carry out banner drops, target and harass leftist and progressive groups, as well as attend violent rallies together, usually while armed. 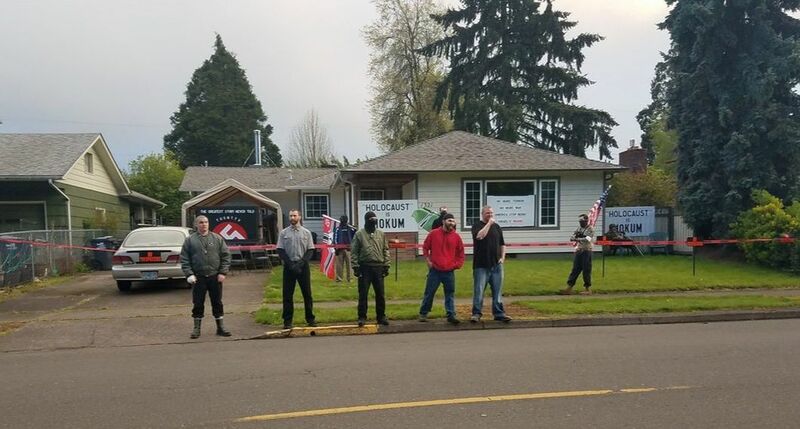 For instance, on April 22, 2017, a Patriot Prayer ‘free speech’ rally organized by Joey Gibson was attended by Jeremy Christian, an alt-right white supremacist who would go on to stab three people on a Portland train just over a month later, killing two men and injuring another after they intervened when he was harassing Muslim women on public transit. Also in attendance that day were David Woods and Andrew Oswalt, two open neo-nazis involved in the now-public ‘Cascadian Coffee Company’ chats. Andrew Oswalt, who used the Discord username ‘DatGoy’, was recently removed from his position in student government at Oregon State University. 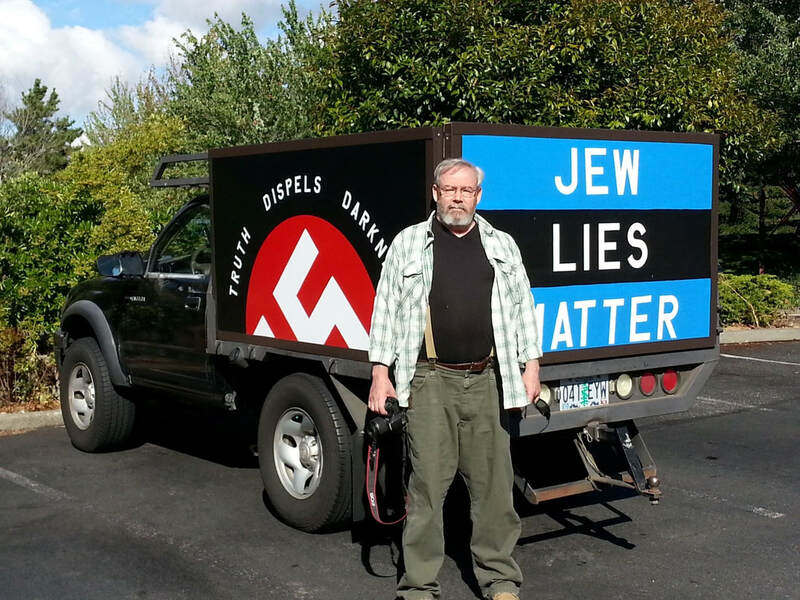 He failed to secure re-election after community members exposed him as a neo-nazi with a string of recent arrests who had been involved in distributing anti-semitic propaganda throughout Oregon. Click here to read Andrew Oswalt’s leaked Discord messages. David Woods, who posted on Discord with the username ‘Australopithecus Jordan’ and also uses the alias ‘Fashy Chad.’ Before he became a Hitler-loving white nationalist, he led a failed career as a white rapper, “Deedub,” who once opened for Snoop Dogg. Woods has since become a hardened national socialist who seems to revel in the prospect of violence, often showing up to protests in a baseball helmet and wearing MMA boxing gloves. Click here to read David Woods’ leaked Discord messages. 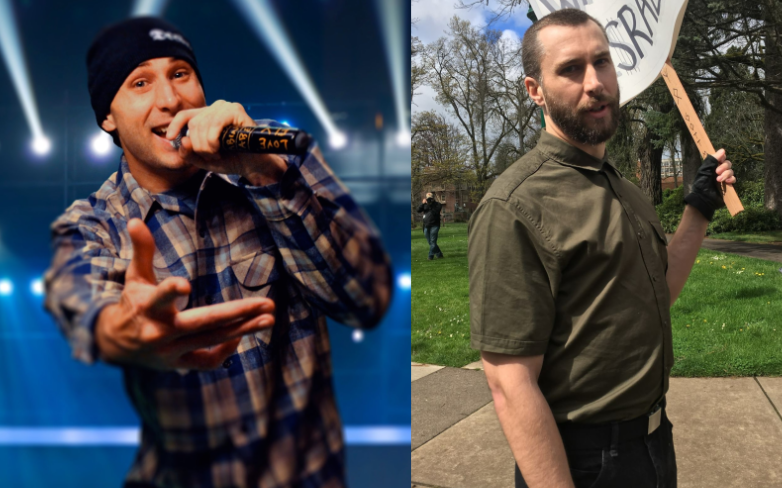 While some members of the ‘Cascadian Coffee Company’ group chat chose to attend Patriot Prayer rallies in Portland, others like Marr opted not to go, but used the opportunity to stage anti-semitic overpass banner drops and insinuate themselves into media coverage of Gibson’s event. Some of those involved in these operations included members of the ‘PDX Stormers,’ a local chapter of fans of the large neo-nazi forum Daily Stormer. Dozens of anti-semitic flyers advertising the Daily Stormer again appeared in Portland’s Montavilla neighborhood on July 30, 2018, just days ahead of Gibson’s latest rally this weekend in Portland. Anti-racists have staged several demonstrations outside Marr’s home. At one such protest outside Marr’s home on April 24, 2017, members of the ‘Cascadian Coffee Company’ chat organized an armed security plan on behalf of Marr. The plan involved stashing weapons to be used by known convicted felons who were purposely kept away from firearms due to added legal liability, and sending an infiltrator into the anti-racist protest crowd. Marr was also present in the Discord chat server for the now-defunct neo-nazi Traditionalist Worker Party, although he was not an official member. Click here to read Marr’s leaked Discord messages. An associate of Marr’s, also exposed in the ‘Cascadian Coffee Company’ chat logs, is Matthew Brien Stafford, aka ‘My Name is Hate’ or ‘Harbinger of Hate.’ Stafford was the only member of the Traditionalist Worker Party in the area before the group imploded, and after the high-profile collapse of TWP’s leadership, he briefly attempted to insert himself as the group’s new leader. Stafford was also present in the planning chats for Unite The Right in Charlottesville, although he did not attend. Click here to read Stafford’s leaked Discord messages. Another frequent participant in the Discord chats who seems to work closely with Jimmy Marr is Justin Marbury, who posts under the username ‘Wehrmacht.’ Marbury prides himself on his propaganda activities, posting pictures and boasting about putting up many anti-semitic and neo-nazi flyers across Oregon towns and cities. Marbury also operates social media and email accounts on behalf of ‘Cascadian National Resistance’, a group of which he appears to be the only member. A former Buddhist, Marbury is also active in Oregon’s legal pot industry and claims to have his own company called Rogue Grow. 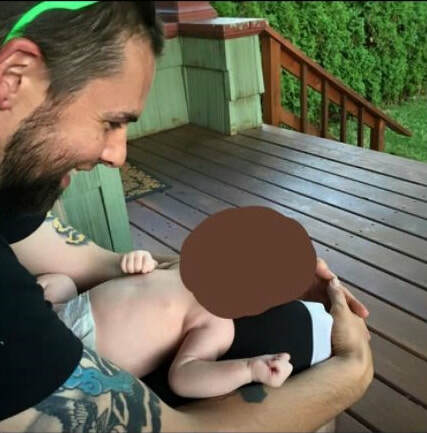 Marbury was arrested in early 2018 after putting up neo-nazi flyers on private property, but the charges were later dropped. Click here to read Marbury’s leaked Discord messages. The ‘Cascadian Coffee Company’ logs also implicate Eugene residents Bethany Sherman and Matthew Lee Combs, a young couple active in Oregon’s legal marijuana industry, in neo-nazi organizing. Sherman stepped down as the owner of OG Analytical, the cannabis testing company she founded in 2013, after it faced calls for a boycott from the weed industry when antifascists exposed Sherman and her husband last year. The chat logs show that Matthew Combs, who posts on Discord as ‘blackhat 16’ is an organizer for the American Patriots Brigade, a feeder organization for the neo-nazi group American Front. 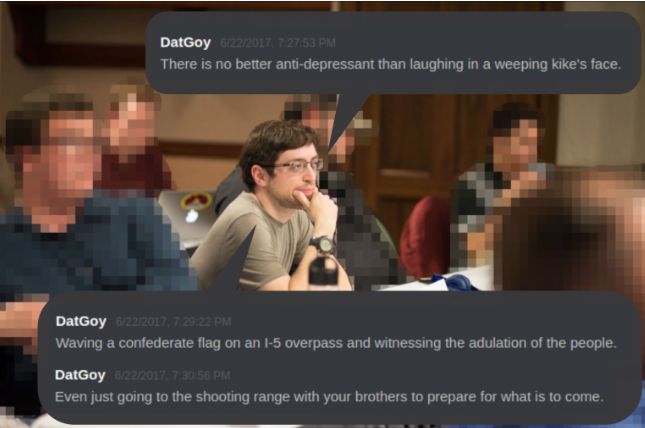 Combs actively encouraged violent behavior by others in the chat, at one point exhorting his fellows to come confront an anti-racist demonstration “and fill some body bags with us.” Click here to read Combs’ leaked Discord messages. While the openly fascist members of the ‘Cascadian Coffee Company’ chat are not the desired public face of groups like Patriot Prayer and the Proud Boys, they represent one sector of the right that has a habit of attending and/or exploiting their events, using spaces like this as an open organizing and recruiting ground.